first and foremost, i thank you for visiting the CVR Blog and i wish you and yours a Happy Thanksgiving! As someone who grew up a few blocks away from the original Tower Records in Sacramento, California, record stores will always hold a special place in my heart, even as their numbers continue to dwindle. That's part of the reason things like Record Store Day get me so excited. 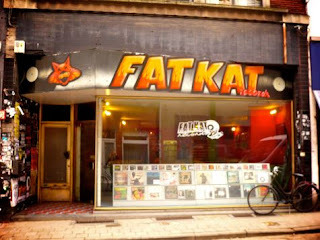 Vinyl record stores in Europe – Spotted by Locals! Vinyl record stores are here to stay! The vinyl record we know today was born in the early 1900′s and ruled the music industry from the 1920′s and onwards. For a while there, in 1980, it seemed like the shiny and small CD had ruthlessly put down the vinyl record, but while its market was small the vinyl record was never really gone. Especially since 2008, the vinyl record has been making a comeback. Of course our Spotters are very much aware of this and have dedicated articles to their favorite record store on their city’s up-to-date blog. In this list you’ll find 10 examples of these favored record stores. Enjoy! THE BUSTLING SUNDAZED KITCHEN IS OPEN FOR BUSINESS! And we mean it! When you order from our bulky online catalog—from Thursday, November 24 through Sunday, November 27—you will receive an eyepopping 20% discount. Yes, that includes all regularly priced Sundazed CDs, LPs, singles, 10-inchers, and t-shirts from our warehouse, freshly stocked with all the rock, pop, surf, garage-punk, psychedelia, soul, rockabilly, R&B, country, blues and jazz you can handle. Thanksgiving will have an extra layer of meaning once you've cashed-in your generous Sundazed discount. How about celebrating with an extra slab of pecan pie topped with an XXL scoop of vanilla ice cream! * 20% discount automatically calculated at checkout. Regularly priced in-stock Sundazed titles only. Excludes Sale Items, Package Deals, Black Friday Releases, Turntables and accessories, and Gift Certificates. If we had our way, the holiday season would run from September through December, and we'd call that stretch of the calendar "the Embers"—like the best part of a campfire when it's nothing but a warm glow. Black Friday, the official holiday kickoff, is almost upon us and SUNDAZED, once again, leads the pack with a menu of limited-edition collectibles that are on-beyond rare. This tempting swag will be available only at your local record store (and on the Sundazed website). The appealing menu includes three Finkabulously rare CDs and LPs by Mr. Gasser & the Weirdos (among our most requested titles for years and years), the rare, Davie Allan-fueled Golden Breed soundtrack LP, as well as gorgeous pic-sleeved, never-before singles by the Byrds (two, actually) and the Lovin' Spoonful, plus two ultra-rare 45s from the Yardbirds, sounding exactly like they were always supposed to sound. There's a few more surprises as well. You know how this "limited edition" thing works. Once they're all sold, they're gone baby gone. The only place you can pick up this glorious loot is at your "local," or from Sundazed in VERY limited quantities. So, before you stagger over to the Mall with the rest of the zombies, swing by the place that's given you untold musical kicks over the years. Like the sirens' song, these SUNDAZED gems will enchant you or my name's not Ulysses (and it IS). We are offering an extremely limited quantity of these titles to our loyal customers and friends who find it impossible to make it to a record store. Quantities on all of these titles are ultra limited! Beginning at 3 p.m. EST today, Paper + Plastick Records will reveal seven new vinyl releases of albums that came out earlier this year. For sale will be brand-new first pressings of Farewell Continental’s Hey, Hey Pioneers!, Junior Battles’ Idle Ages, Reverse the Curse’s Hither & Yon, Riverboat Gamblers’ Smash/Grab EP, a split from Red City Radio and The Gamits, the Are You With the Band? compilation of female-fronted punk bands, and the Plow United collection entitled Sleepwalk: A Retrospective. Also available will be a second pressing of Dave Hause’s Resolutions LP. 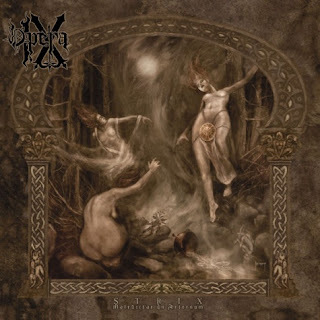 'Strix Maledictae In Aeternum,' the new album from the Italian symphonic black metal band OPERA IX, is scheduled to be released on January 24, 2012 in Europe and February 28, 2012 in North America via Agonia Records. The effort, which is described in a press release as "a great opera dedicated to the dark ages of medieval witchcraft," was recorded at the Occultum studios and was mastered at the Necromorbus Studio in Alvik, Sweden. The artwork was created by Kris Verwimp. 'Strix Maledictae In Aeternum' will be released as a digipack CD and on limited-edition vinyl. NEW YORK, Nov. 23, 2011 /PRNewswire/ -- Sirius XM Radio (NASDAQ: SIRI) announced today that its Pearl Jam Radio, the commercial-free music channel devoted to the music of Pearl Jam, will broadcast the band's final show from the "Pearl Jam Twenty Tour" recorded live in Mexico City. The concert will air on Friday, November 25 at 2:00 pm ET on Pearl Jam Radio, channel 22, and will include on-site interviews hosted by Pearl Jam Radio host The Rob. Before the concert broadcast, at 12:00 pm ET, Pearl Jam Radio will air an in-depth conversation with director Cameron Crowe about his new documentary Pearl Jam Twenty, during which he will talk about the creation of the film's soundtrack and his thoughts on the band's influence and legacy. 2011 is a yearlong celebration of Pearl Jam's twenty-year history. The band started off the year with the release of a new live compilation album, Live on Ten Legs, followed by the expanded reissues of Vs. and Vitalogy in March. Things kicked into high gear in September with the Alpine Valley Labor Day anniversary weekend concert, followed by the release of Cameron Crowe's film, Pearl Jam Twenty, with accompanying book and soundtrack album. The celebration continued with tours in Canada, South and Central America and Mexico, as well as the release of Pearl Jam Twenty on DVD. Pearl Jam Radio features archival concerts from throughout the band's celebrated 20-year career, rarities, unreleased material from the band's personal music library and music from the band's side projects, including solo and pre-Pearl Jam music. The tracklisting for Amnesty International's forthcoming Bob Dylan tribute album has been revealed. 'Chimes Of Freedom: Songs Of Bob Dylan Honoring 50 Years of Amnesty International' will be released on 30th January, with all proceeds going towards the charity. 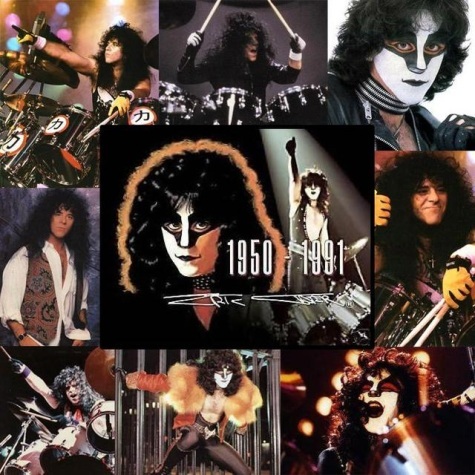 "Twenty years ago today, our friend Eric Carr passed away after losing his battle with cancer. Over the eleven years Eric spent with KISS, he played over 800 concerts to millions of fans around the world, and he brought joy to and touched the lives of so many people. Here are some thoughts and memories that the band would like to share." Paul Stanley (guitar, vocals): "At a time when KISS was in the midst of upheaval and turmoil, Eric brought calm and an optimism that refocused our priorities so we could move forward. I can't overstate his contribution to our rebirth. His dedication to his music was only matched by his dedication to his fans. He was a kind soul who couldn't say an unkind word about anyone and I think of him all the time." Eric Singer (drums): "Eric Carr was a beloved member of KISS for eleven years. His drumming was as powerful as his love and devotion for the fans and remains in the hearts of many to this day..."
Tommy Thayer (guitar): "Eric Carr was a special person and a friend. He would always go out of his way to be friendly and say something nice. I remember the band was mixing 'Hot In The Shade' back in 1989 at Cherokee Studios in L.A. 'Hot In The Shade' was a mish-mash of sorts and everyone was throwing in their two cents on the mix — you know, 'Turn up the guitars, turn up the bass...' I was listening and remember saying to the engineer, 'Where's the drums?' At the end of the night, Eric quietly pulled me aside and said, 'Thanks for mentioning the drums.' He appreciated that... A good guy." Gene Simmons (bass, vocals): "I never knew anyone more humble in my life. Eric Carr was a kind soul who never said anything bad about anybody. He was also a double threat on drums, and vocals. I miss him." A 33-year-old Nigerian and a 23-year-old Somali were arrested on drug-smuggling charges on Tuesday. The men were detained in a Greek police operation after collecting two parcels that had been sent from Germany via courier. Officers confiscated 528 grams of cocaine hidden in four vinyl records as well as various fake documents. In 1937, the Andrews Sisters recorded their first hit, "Bei Mir Bist Du Schön." By early 1938, it was the #1 record on the charts and stayed there for five weeks. 1950 - The musical "Guys and Dolls" opened in 1950. 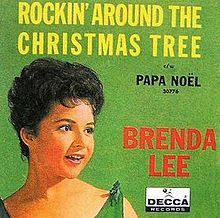 In 1958, Brenda Lee released "Rockin' Around The Christmas Tree." Although Decca released it in both 1958 and again in 1959, it did not sell well until Lee became a popular star in 1960; that Christmas season, it hit #14 on the Billboard pop chart and turned into a perennial holiday favorite. It continued to sell well during the holiday season, hitting #5 on the Christmas chart. Brenda Lee's recording still receives a great deal of airplay. Despite the song's title, its instrumentation also fits the Country genre which Brenda Lee more fully embraced as her career evolved. Despite her mature-sounding voice, she recorded this song when she was only 13 years old. The recording featured Hank Garland's ringing guitar and Boots Randolph's swinging solo sax break. For decades, Brenda Lee's recording was the only notable version of the song. In 1958, Jackie Wilson released "Lonely Teardrops." Written by Berry Gordy, Gwendolyn Gordy (Berry's sister) and Roquel "Billy" Davis, going under the pseudonym Tyran Carlo, the single, alongside Wilson's debuting five consecutive singles between 1957–58, turned Wilson into an R&B superstar and influenced the later careers of Davis, who joined the staff of Chess Records while Gordy used the money from the song's success to form Motown Records within a year. The song raced up to number-one on the Billboard R&B chart and became Wilson's first top ten hit on the Billboard Hot 100, eventually peaking at number seven. The hit's success helped land Wilson on American Bandstand and The Ed Sullivan Show performing to receptive audiences on the respective shows. It is a 1999 Grammy Hall of Fame Inductee. The song is ranked #308 on Rolling Stone magazine's list of The 500 Greatest Songs of All Time. Also in 1958, Ritchie Valens released the single "Donna" b/w "La Bamba." "Donna", the second Ritchie Valens single released, was the A side of the influential and much more famous song "La Bamba". This single was only one of three, along with the previous single ("Come On, Let's Go"/"Framed" – Del-Fi 4106) and the follow-up ("Fast Freight"/"Big Baby Blues" – Del-Fi 4111) ever released in Valens's lifetime. Original Del-Fi pressings of "Donna"/"La Bamba" include black and sea green labels with circles, later replaced with solid sea green or solid dark green labels. Early 1960s pressings have black labels with sea green "sawtooth" outer edge. In 1958, the Kingston Trio became the very first group to ever have an album reach the top of the US chart. Before them, only solo artists had hit number one. They would go on to record a total of fourteen Top Ten albums and an additional five would enter the Top 25. In 1964, the Who played their first show after changing their name from the High Numbers. In 1965, the Young Rascals begin laying down tracks for "Good Lovin'", which will rise to #1 in the US early next year. 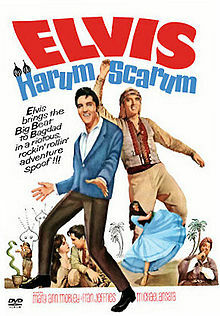 Also in 1965, the Elvis Presley movie "Harum Scarum," with Mary Ann Mobley, Fran Jeffries, Michael Ansara, Jay Novello, and Billy Barty, premiered in Los Angeles. Also in 1966, several thousand teenagers battle with Kansas City police after a James Brown concert is halted because of what officials call "obscene dances being performed on the stage." In 1967, the Beatles released the single "Hello Goodbye" b/w "I Am The Walrus." "Hello, Goodbye" topped the charts in both the United States and Britain where it spent seven weeks at number one, and was the Christmas number one for 1967. With the release of the song, McCartney gave an explanation of its meaning in an interview with Disc: "The answer to everything is simple. It's a song about everything and nothing. If you have black you have to have white. That's the amazing thing about life." In 1972, ABC-TV's "In Concert," the network's weekly late-night answer to NBC's "Midnight Special," debuted. The initial episode of the Don Kirshner-produced program featured musical performances by Chuck Berry, Alice Cooper, the Allman Brothers, Poco, and Blood, Sweat & Tears. KHJ-Los Angeles disc jockey Robert W. Morgan was the offstage announcer for the show. In 1973, following more than two years of retirement, Frank Sinatra returned to the spotlight with the NBC-TV special, "Ol' Blue Eyes Is Back." In 1974, during his infamous "Lost Weekend," John Lennon rehearsed with Elton John for Elton's upcoming Madison Square Garden performance, at which Lennon planned to make a surprise cameo appearance. In 1973, after cracking Billboard's Top Ten with "It Don't Come Easy" (#4) and "Back Off Boogaloo" (#9), Ringo Starr reaches number one with "Photograph", a song he co-wrote with George Harrison. In 1979, a pair of Pop music divas, Donna Summer and Barbra Streisand combined their voices to produce the top tune in the US, "No More Tears (Enough Is Enough)". It's Summer's third number one single and Streisand's fourth. The record made #3 in the UK. In 1985, rock pioneer Big Joe Turner died of kidney failure at the age of 74. Turner was one of the first artists to ever play Rock and Roll when he recorded "Shake, Rattle and Roll" in 1954, although Bill Haley and His Comets had a bigger hit with their cover version. Turner also recorded "Sweet Sixteen" before B.B. King, and wrote "Honey Hush", later copied by Jerry Lee Lewis and Paul McCartney. Turner earned his nickname from his 6'2", 300 lbs stature. 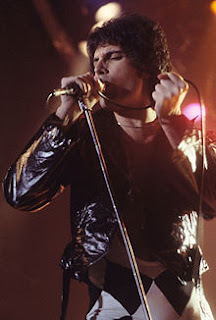 In 1991, 45 year-old Freddie Mercury, lead singer of Queen, died of bronchopneumonia induced by HIV, at his home in London, England, only one day after publicly acknowledging he had the disease. In 1993, blues musician Albert Collins died of lung and liver cancer at 61. In 2007, Red Hot Chili Peppers bassist Flea lost his multi-million pound house in a wildfire that swept through Malibu, 53 other properties were destroyed by the blaze. Flea told the Los Angeles Times the $4.8m property was "burnt to a crisp." In 2008, the movie "Cadillac Records," based on the history of Chess Records and starring Adrien Brody, Cedric the Entertainer, Mos Def, and Beyoncé Knowles, had its premiere in Hollywood. In 2009, the Rolling Stones began cashing in on British singing sensation Susan Boyle's rendition of their hit "Wild Horses" by re-issuing their original version which was first released 40 years ago this month.